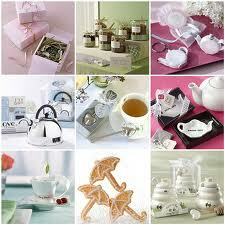 As you plan for your wedding one thing you do is create a wedding registry in at least one store. When you choose a store that covers all household needs for this purpose, you have a wider selection of items to choose from. This is a way of letting guests know what you need as you start your married life together. 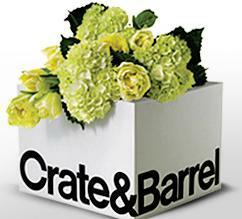 A Crate & Barrel registry offers a selection of furniture, gifts, housewares, and home décor for you to add to your list. Benefits of using the store include a mobile app to monitor and manage your registry from anywhere. 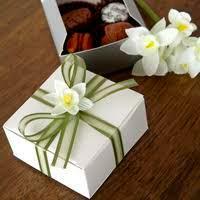 The site has a list of top registry items so you will not miss a thing on your list. 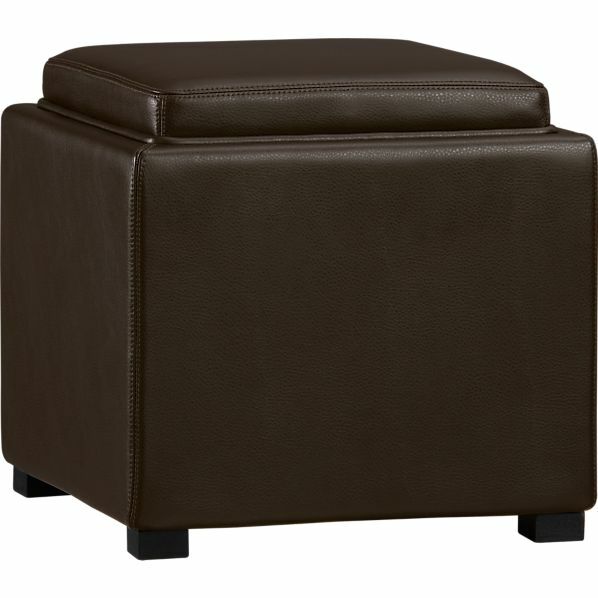 As you add items to your registry, the top furniture choices include this leather storage ottoman. The rich brown color of the storage cube complements any décor. The versatile piece of furniture works as a seat or place to rest your feet as well as a place to conceal items. The lid doubles as a tray when flipped over. Top accessories for your rooms include everything from mirrors to candleholders. 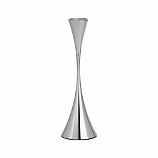 The stainless steel candleholder adds a modern touch to any room. With a mirror finish, it looks striking on any table or shelf. The trumpet shape gives the holder a sleek look. 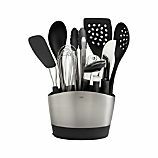 Kitchen storage items are among the top choices for wedding registry items. 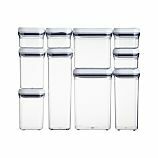 This set of 10 airtight containers from OXO comes in various sizes with lids. The set is stackable for counter or cabinet storage. The clear plastic containers have silicone seals and are BPA-free. Each lid has a pop button mechanism that guarantees a tight seal as well as doubling as a handle. Top small appliances on your list should include everything from a mixer to food processor. One small appliance no kitchen should be without is a toaster. 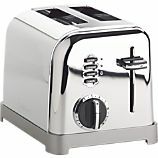 This classic 2-slice toaster has a retro look and features wide slots, six-setting browning dials, and a crumb tray that slides out. It has LED indicators as well as buttons for defrost and bagels. Every kitchen should have proper bakeware and cookware. For beginner bakers, this 6-piece baking set will get you started. 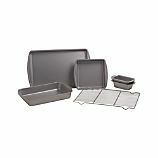 The baking pans come in common sizes and are a professional quality. The heavy gauge steel material provides even baking. The non-stick surface means easy clean up for you. Every home should be stocked with at least one set of drinkware. One of the top drinkware items is this set of 12 stemless wine glasses. 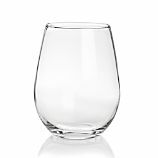 These stemless glasses are ideal for all types of wine. They have a simple style that will match any décor. Whether you are serving dinner for two or a huge family meal, you need serving pieces in your kitchen. 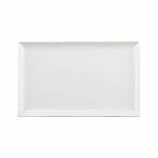 One of the top items included on wedding registries is this white rectangular serving platter. The white porcelain tray has a flared rim, which makes it an all-purpose tray. The material is chip resistant on the tray that goes from microwave to dishwasher. Everyone loves gadgets and all kitchens need gadgets to make tasks easier. This 10-piece set of tools with crock is one of the top items brides add to their registry. It has all the basic and essential gadgets including can opener, rubber spatulas, slotted tools, and whisk. The crock is divided to keep tools organized and neat on the counter. 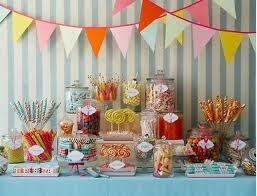 Another top item requested by many brides is kitchen cutlery. Cutlery includes all items from knife blocks to sharpeners. 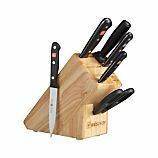 This Gourmet 7-piece knife set has all your needs covered. The blades are long lasting and strong. They have high-impact synthetic handles that are durable as well as comfortable to hold. All couples need dinnerware for their home. 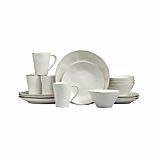 Dinnerware comes as single pieces or as a set. This 16-piece dinnerware set is one of the top items on many brides’ list. The set comes in white, blue, yellow, or green. They pieces are glazed with freeform rims making each piece slightly different. This set offers a unique table setting that goes with any décor.